Powersoft is hosting exclusive listening sessions on Wednesday October 28th and Thursday October 29th at The Mayan Theatre in Los Angeles, CA. Attend to find out how Class D amplifiers and moving magnet linear technology are changing what is possible in live sound reproduction. Powersoft co-founder and R&D director Claudio Lastrucci, and M-System project manager Massimo Minardi will give an overview of the power and efficiency benefits Powersoft¹s Class-D amplification can deliver, while demonstrating the next generation of amplifiers and moving magnet linear technology. The M-System is a powerful solution for high output power subwoofers, utilizing Powersoft's M-Force motor transducer, its M-Drive switching mode amplifier module, and its Differential Pressure Control (DPC) technology. 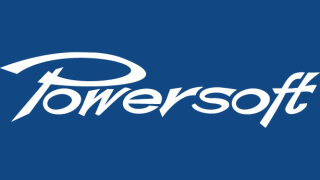 Click here to register for Powersoft’s exclusive listening sessions.